Free high resolution photo of the corner of an old envelope with two USA 22 cent cancelled stamps. 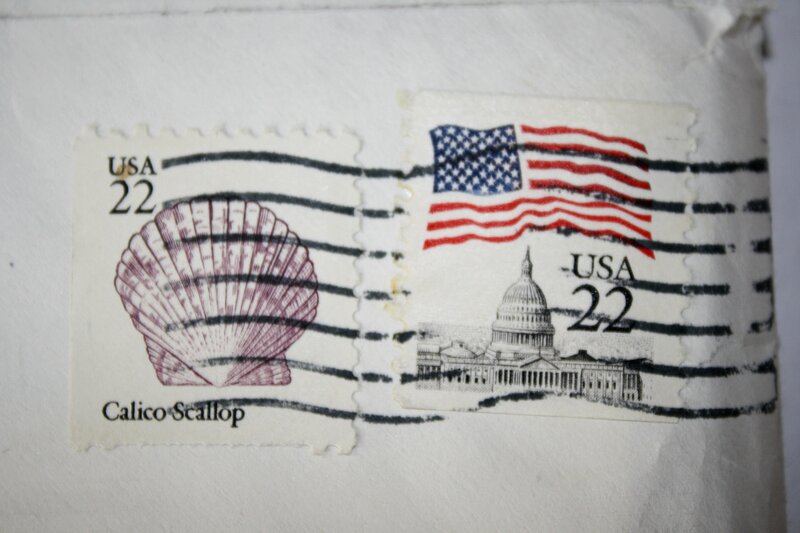 One of the stamps has a picture of a shell on it and says “Calico Scallop”. The other has a picture of the United States capitol building with an American flag above it. This photograph is free for any use.